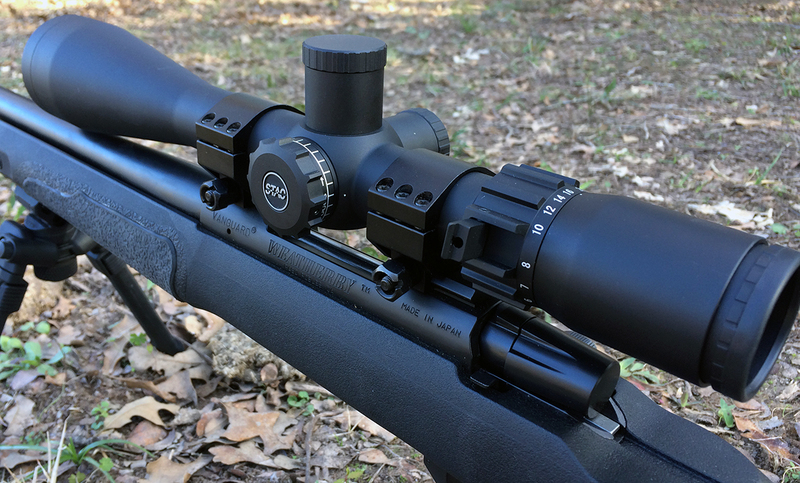 Three scopes were tested from Sightron, Bushnell, and Vortex. I am looking for a scope with 24 power to shoot steel silhouettes with a 22 out to 212 yds. Which scope do you recommend for this purpose. I use Nikon 6x24x50 now. Can a shooter get a dot put in the scopes. That is what I like and shoot with now. How much does it cost to have a dot installed? crosshairs too busy, maybe for snipers or long range target shooting they’re o.k. 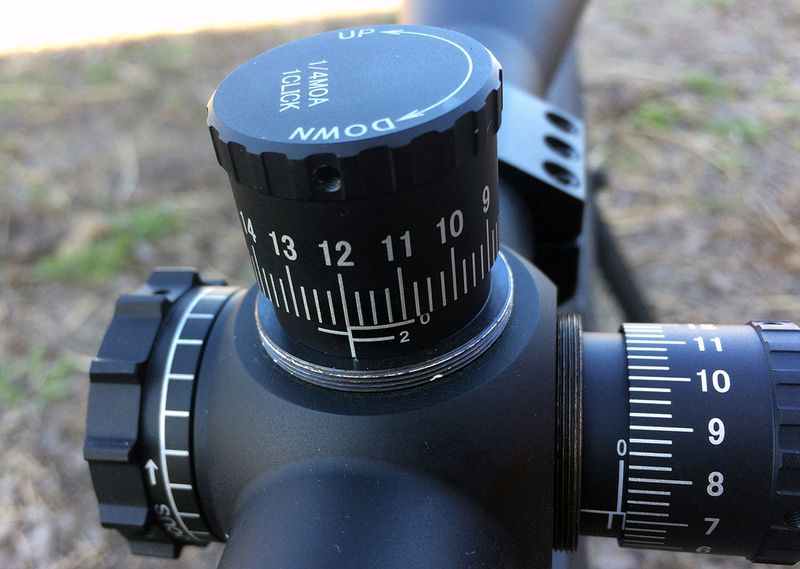 but for general hunting out to 300 yds a simple crosshair works just fine if you are familiar with your rifle and practice enough…these scopes are like the new pickups, way too fancy with all the gadgets…. What about HAWK OPTICS ??? !!!! Really, I don’t think I’ve seen not even a handful of reviews except by owners of this optic company. Why does everyone insist on wasting ammo doing box tests? Just use a boresighter/collimitor and dial in some elevation. You will be able to see how well the scope tracks by observing how many grid lines the scope moves without firing a single shot. The scope should track vertically with out any windage movement. 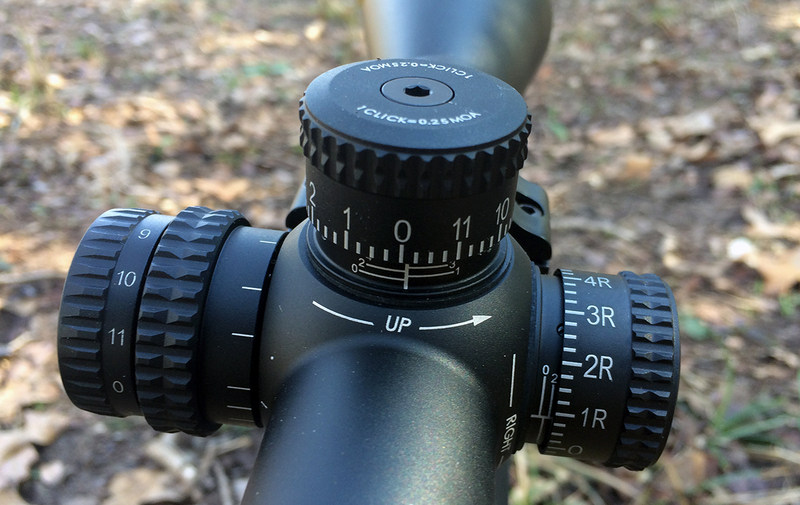 If the reticle moves horizontally by just adjusting the elevation, you have a boat anchor and should not mount it on any rifle where you want precision. Also do a zoom test. The reticle should not move on the grid. You will also see some vertical movement of the reticle when adjusting parallax. 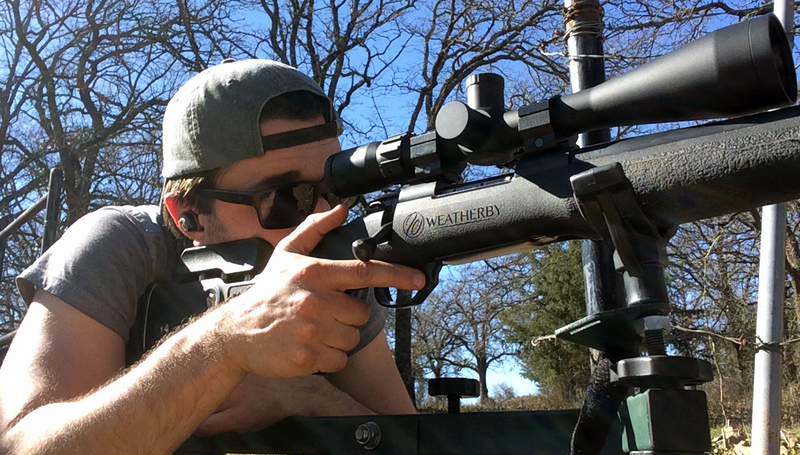 That is normal because the scope is mounted above the barrel and not on the bore center line. Adjust the horizontal movement as well. With a good scope you will not see any vertical movement. I really liked the article regardless of the very small mistakes made. People complain about everything these days, like there being so many variables in this test. Anyway I enjoyed it and appreciate the information I got out of it . Thank You, for all of the hard work you had to put in to make this test happen !!! Keep up the good work ! I can’t believe you threw out the most important factor when looking at long range scopes! Image clarity is the most important single aspect, followed by tracking. Putting Sightron in 1st place just doesn’t make sense. I’ve moved away from Millet and Nightforce scopes and even my high dollar Vortex scopes because of the performance and features of the Strike Eagle line. Did you mention lit reticle which is invaluable when your target is dark or in shadows??? And finally, you don’t always have time to dial corrections… having the information available in the reticle makes it possible to use the numbered marks. Sorry, but your “evaluation” displays another self proclaimed expert that has little or no real world experience in the subject matter. FAIL! FOV – Uhm, the Bushnell has a lowest power of *6* while the others have a lowest power of *4* – OF COURSE IT HAS LESS FIELD OF VIEW AT LOWEST POWER. You need to compare what the other two scopes FOV is at *6* power to truly compare it. 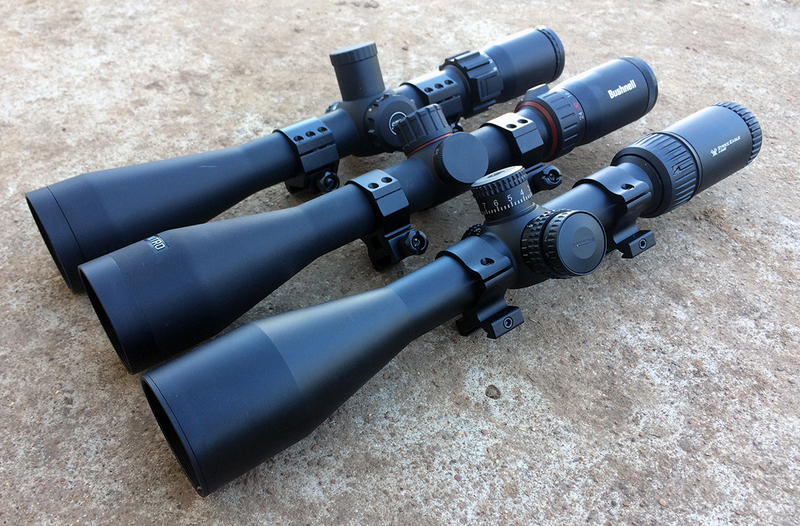 AND – the Bushnell maxes at 24x, not 20x like the other two, and yet at max magnification, The Bushnell is only slightly less than the Sightron at 20x. 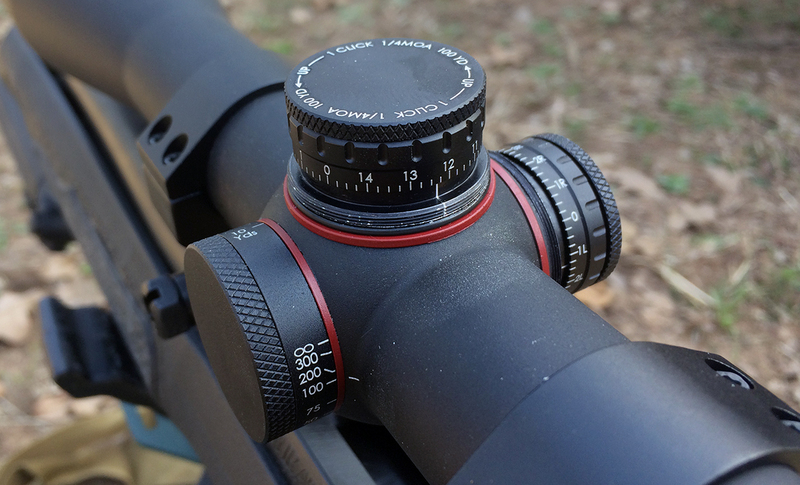 To accurately compare field of view you should measure it with the scopes at the same magnification. If you don’t know that, you shouldn’t be writing about optics. The Vortex maxes at 24 so not sure what you are whining about. Just checked. Vortex headquarters are in Barneveld, WI. They’re manufactured in Middleton, WI. Thought most of Leopold’s line were made in Oregon? At least most of mine are. Absolutely, they are made in Beaverton, Oregon, all materials, machining, finishing, plus the ability to have different reticles installed on special order depending on your requirements. Made in USA through and through. I’ve got a couple Barska scopes that were $200 or less that work just fine. I don’t bang around in the woods or shoot 100 rounds at the range with them often, so I can’t say a lot about how long g they will hold up and stay true, but I can’t complain. So far I shoot as well as friends with $500_1000 scopes. Maybe my friends are all worse shooters? I think you missed a real heavy hitter in this realm. 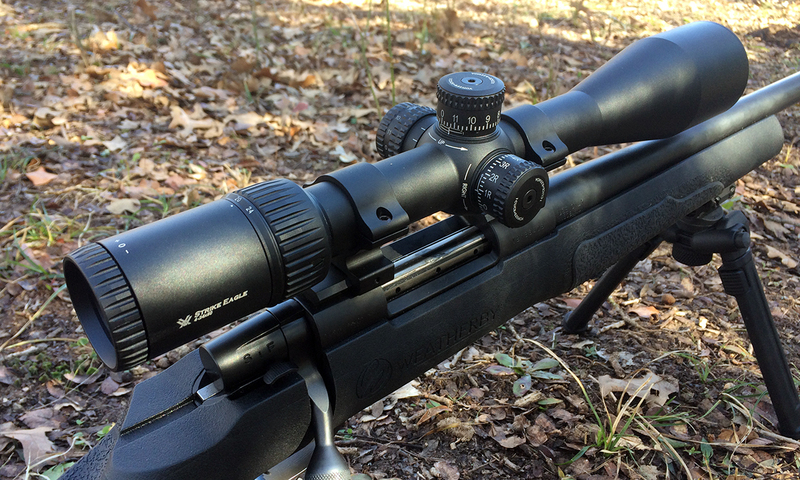 The SWAC Super Sniper line is incredibly affordable and are almost bomb proof optics. Especially so if you choose the 10x fixed magnification model chosen by the US Navy. 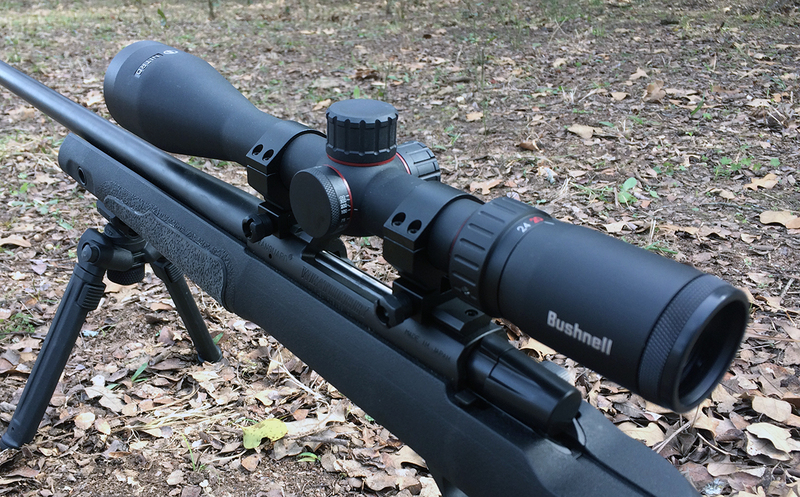 Robust, superb tracking, and an exceptionally good piece of glass for the price point. Far better than any $300-400 optic should be. Awesome! Thanks for the suggestion. I’m always looking for budget-friendly products. Maybe we’ll reach out and try to get one for a review. Please name one scope made entirely in the USA? Some are assembled here with glass and other parts from Asia. Leupold uses glass manufactured overseas. People somehow believe Night force scopes are made in the USA…they are made in Japan. It’s printed on the bottom of the scope. Bottom line…they are all made overseas. Get over it and go shooting. Good point. In today’s market, companies can get quality components from around the world. I agree with you about the glass, most is from Japan or Germany. But I beg to differ with you on the Nightforce. I own two and just went to look at them again so I could verify it. My NXS and ATACR both say Made in U.S.A. right on the tube below the elevation turret. So not sure which model you are referring to on the Nightforce and it not being made in the U.S. I think we both may be correct as I had read somewhere that some older models were made overseas. I purchased both my scopes last year (2018) but not sure that’s the manufactured year. Primary Arms ACSS HUD DMR 3-18! Hmmm Nonya, no primary arms tested in this article you must be reading something else. Shooting is not the best nethod for testing tracking.You should mount the firearm securely whe it dies not move and run a box test.Mark an run a tracking test up to at least 40 moa. WHAT SCOPE WAS TESTED FIRST AND LAST.? WAS THE RIFLE CLEANED BETWEEN EACH SCOPE TRACKING TEST? TOO MANY VARIBLES INCLUDING THE SHOOYER TO DO IT THIS WAY.